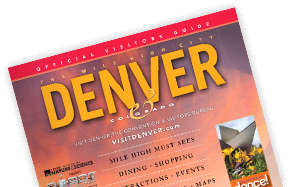 Free photography and high definition (HD) b-roll video clips can be downloaded for editorial use or to promote Denver and Colorado as tourism and convention/meeting destinations. Please click here to register for access to Barberstock, our online photo and video library, or contact our Public Relations team at press@visitdenver.com. *All photos must be credited to VISIT DENVER and the photographer (if name is provided with the photo). All video footage must be credited to VISIT DENVER.